Sometimes you go with the flow and not the plan or intent. I guess you might say I do this most of the time. It is my process. Today, I decided to do a little work to get started in my ‘pretence’ to be at Colony. 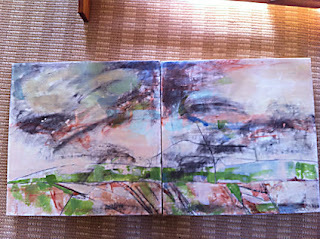 I’m sorry not to be there this fall…….I always get so much out of it. 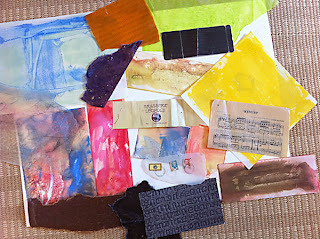 I had started making collage papers with encaustic on the Hot Box. I continued until I figured I should just get to painting. 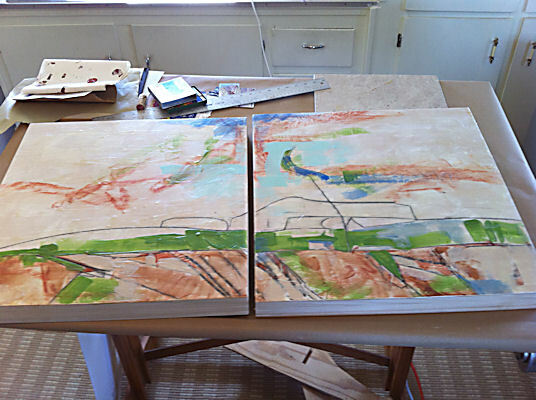 I had one 20 x 20 x 2″ cradled board out already but decided to work on two at the same time. I applied the last of one jar of Evans Holy Grail and took a nap while it dried. Well…yeah, it only takes 30 minutes to dry but I only took a 30 minute nap. it’s good to have a sofa in the studio. SO, I started making marks with Conte crayon figuring maybe something would happen to spark something. Before I knew it I was applying encaustic paint and lots more medium, scraping with that nifty scraper I bought from Miles Conrad ( I LOVE that scraper)….and applying more medium. I took a couple of pictures of the progress and went down to prepare dinner. When I came over to the computer I suddenly realized my inspiration was my screen-saver photo from Italy made in 2008. It was a stormy day overlooking Todi, Italy according to the title of the photo. 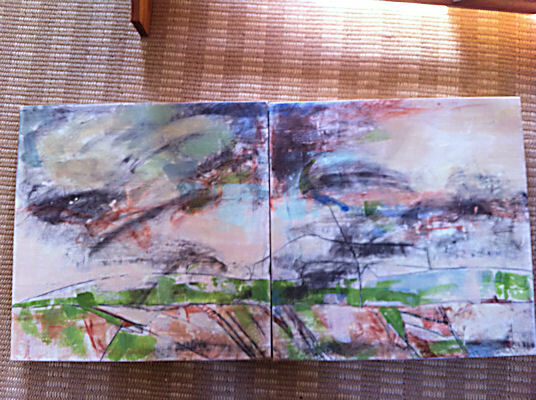 IF the paintings finish up still looking like the inspiration, I’ll let you know. The photo does not do justice to the sky that day though.